Oil on canvas painting of a beautiful chestnut-colored horse, named “Blaze”, given to a client’s daughter by her as a birthday gift. Not only are the two great friends, they also compete together in show jumping events in northern Maine. 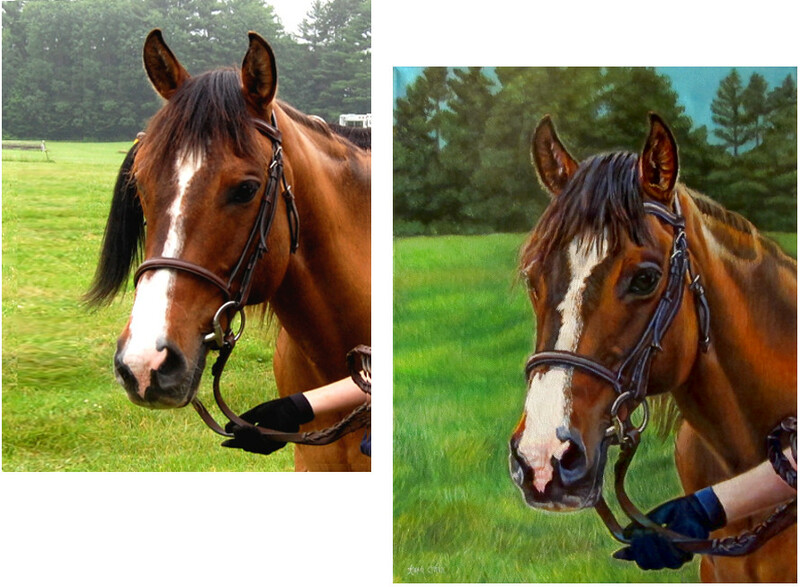 The client wanted to have the horse as the main subject, however; we decided that it would make a better composition to include her daughter’s gloved-hand, suggesting that Blaze was with her while they were together at a show…wearing his leather bridle and halter as she held his reins for the photo.